The book of my father’s square dance calls that I’ve been working on for the last six years or so is coming together. I suppose I really should wait till it’s actually out to talk about it, but I just finished the cover mockup and am excited now! Hank Fields taught hundreds of people to square dance in rural Modoc County, CA in the 1950s, the heyday of western square dance. The book’s main purpose is to share the calls he did (including breaks, patter, and singing squares. It also includes stories gleaned from numerous interviews with Hank and other dancers from the time about their experiences. 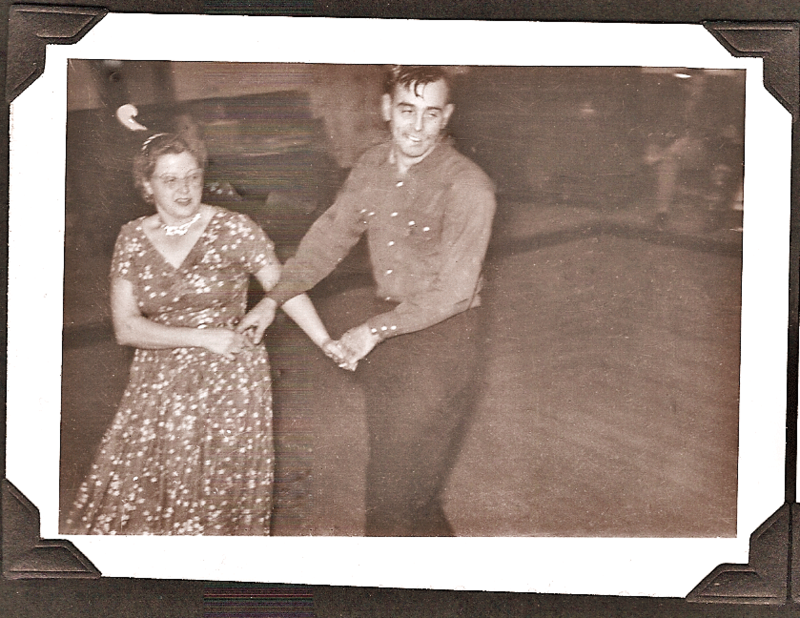 One of my favorites, told by an older cousin, is about winter dancing in Idaho. Folks would sometimes get snowed in while on their way to a dance, but would that stop them? No! They’d just stop, set up sawdust fires, and dance anyway – right in the middle of the road! This book is not done yet, but please let me know if you’re interested in getting a copy when it is! Inspired by my friend Birrell Walsh’s delight with his poetry book, I plan to self-publish it through Lulu.com.